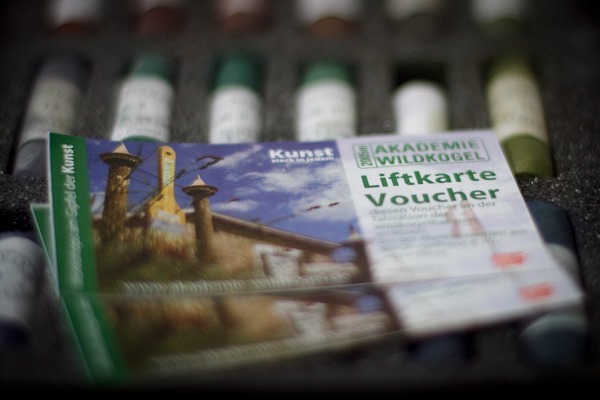 In Oktober I will be giving a workshop in Austria at the Wildkogel Hütte, at a height of 2000 m above ground. This is really exciting and today my tickets arrived for the cable railway. To it attached was a flyer with some photographs. It got me even more excited and I’m curious what the Alp mountains will look like in Oktober. danke für die Jodelschule. Es ist immer wieder köstlich. Toll, daß Dein Bauch soviel Vorfreude hat. Ich wünsche Dir eine wunderschöne Zeit dort und einen erfolgreichen Kurs. My husband and I laughed hard at that YouTube, and we don't even speak German. Thanks for the yucks! Hi Astrid! I wish I could be there at your workshop!